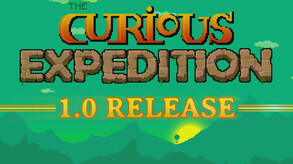 While the Curious Expedition is still in development, it already offers a wonderfully bonkers and original experience that is perfect for gamers who enjoy the likes of Kim, 80 Days or Choose Your Own Adventure-style titles. It's a charming rogue-like adventure set in the 19th century which is just brimming with personality and which gives players a real sense of exploring the unknown, making it perfect for armchair Indiana Jones types. You'll get to play as several real-world personalities, including Nikola Tesla, Charles Darwin, and H.P. Lovecraft as you venture off into a procedurally generated world that is just brimming with things to discover. You'll venture through jungles with lost tombs and dinosaurs, interact with mysterious tribes and much more along the way, managing resources to keep your party alive and their sanity intact. When you meet enemies, you'll engage in combat which is enacted in the form of a clever and enjoyable dice rolling game, with many other such things to find along the way. The Curious Expedition really is a little corker of a game. It's got so much personality it's almost overflowing and there's a genuine sense of heading off into the unknown that really gets you excited about your digital adventure. The game is challenging but not frustratingly so while the different characters and procedural environments bring some much appreciated replay value to things. The visuals are simple but entirely charming and in-keeping with the feel of the game so if you fancy a rollicking trip into the unknown, then this is for you.